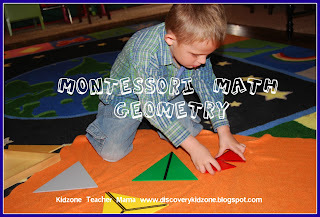 Discovery Kidzone Montessori Adventures: Montessori Monday, Math Madness!! This week for Montessori Monday I decided to write about Montessori Math. I wanted to tell you why I LOVE Montessori Math and how it works. Let me start off by saying that I am TER I BLE at math!! I just didn’t get it. I am incredibly visual and kinesthetic and if you said to me what is the square root of sixteen I would look at you with a puzzled face and say what kind of plant makes a square root? Yep, it is that bad! Well let me tell you that I went to high school and college and did not truly understand math until I was completing my Montessori certification and I had to figure out what the square root of the pink tower was that I finally had my AH HA moment! You know the one where the light turns on and everything seems glorious?! I finally could visualize math and how it works. It is amazing that I literally had to go back to preschool to learn, but that is what it took. Now I do understand math and I am thrilled to give kids that glorious AH HA moment at such a young age! 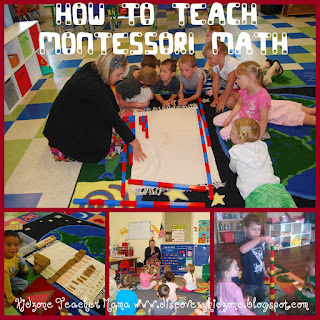 Montessori math is completely concrete and hands on! 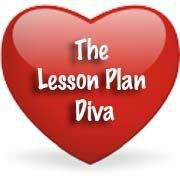 No boring drills and flashcards. You start with the basics and build on it through mastery. This week I am going to talk about steps one through three. 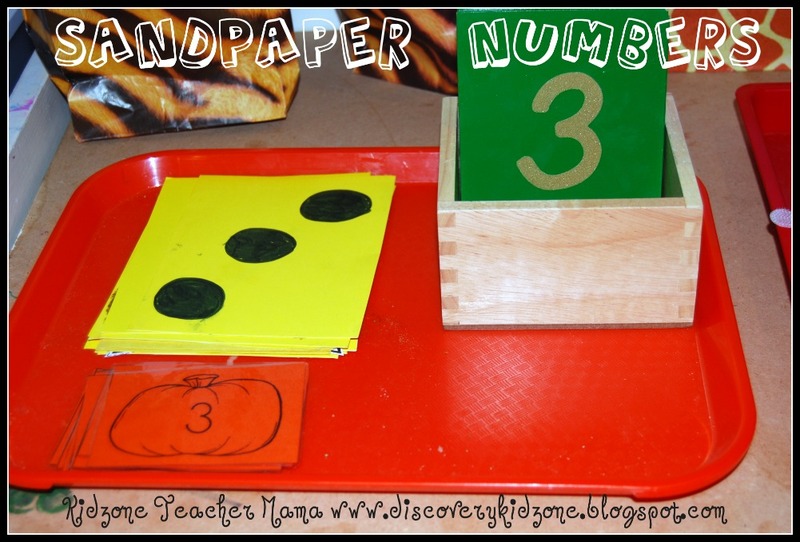 The first step is the sandpaper numbers and counters. I always introduce these concepts simultaneously in order to reinforce one to one correspondence. 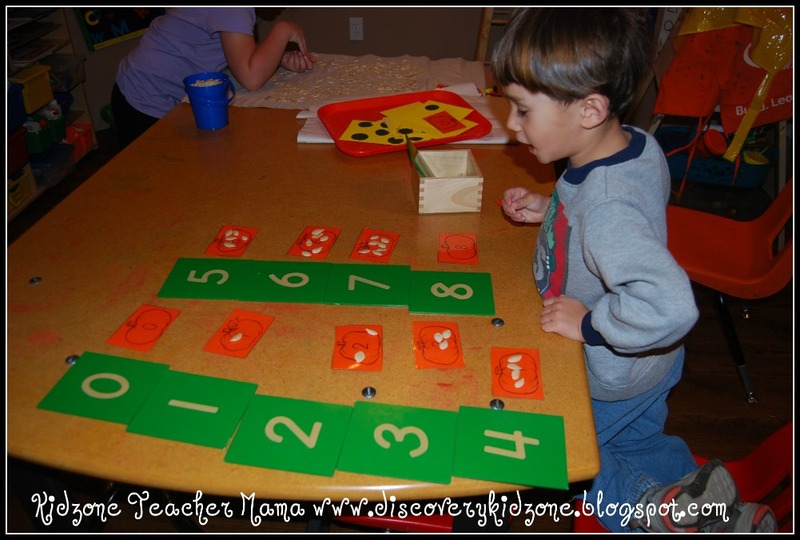 This is a fun math activity because you can add different themed counters all year long! 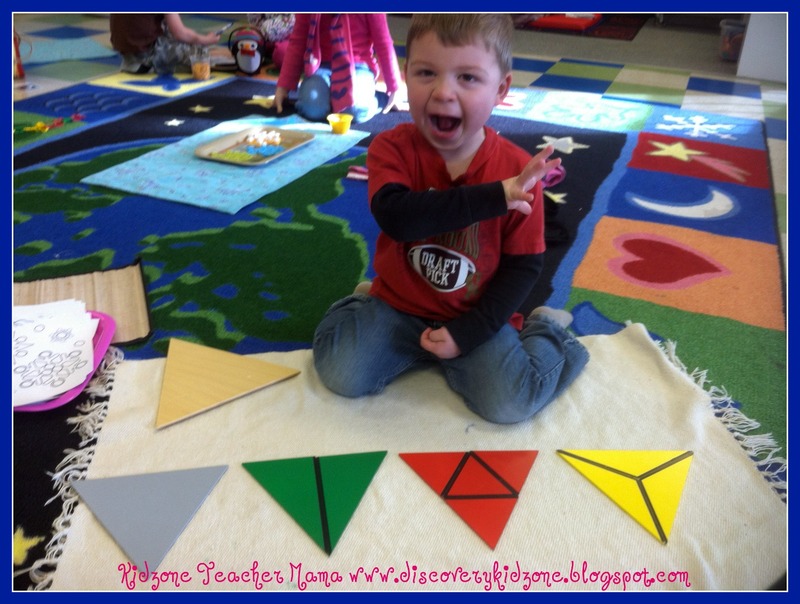 Start this math work as a sensory activity. Have the child trace the number and then repeat in different sensory materials such as sand, rice or shaving cream. After they trace and repeat have them count the number of items they have traced. Mix the numbers up to reinforce number recognition. The second step in the Montessori math process is the number rods. 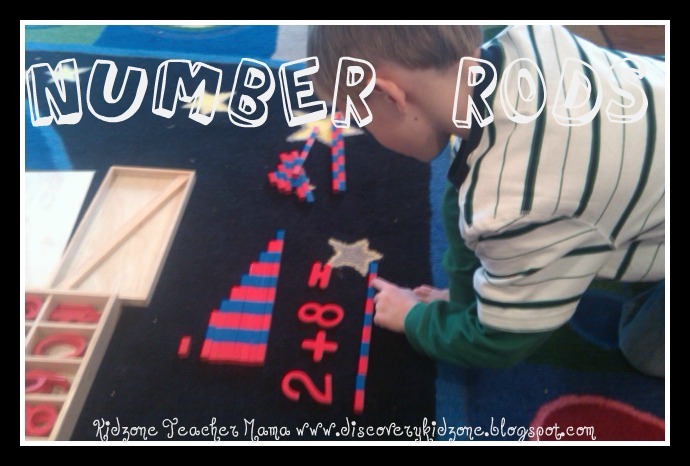 The number rods are a versatile tool that will be used all the way into kindergarten and beyond. You start very basic by counting the colors on the rods. You will then combine the number rods and sandpaper numbers followed by red and blue patterns. After the child can successfully count to higher numbers they can make a number rod maze!! They LOVE this activity and repeat it often. Finally the number rods will be used for addition and subtraction! Talk about a fabulous concrete math tool!! 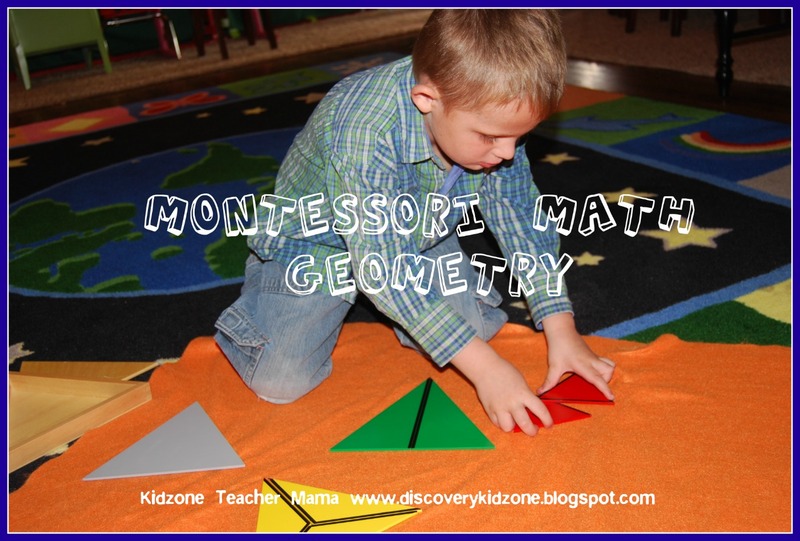 Geometry is the third step of math that is covered in the Montessori curriculum. 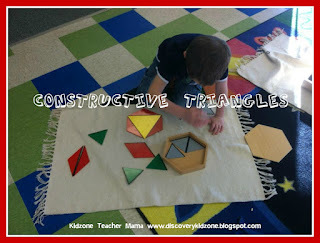 Constructive triangles are a tool that can be hard for even adults to complete however, with proper training and building concentration children as young as three can accomplish this task and with great joy! Constructive triangles come in a wooden boxes with multiple triangles in different sizes with a larger triangle to use a self correcting tool. The children must match the colors and the black lines to make a larger trianle. This work gets progressively more difficult and requires a great deal of concentration to complete. Never underestimate the mind of a young child. It is truly an amazing thing! They are an empty vessel and it is our job to fill them up! Happy Montessori Math Madness day! 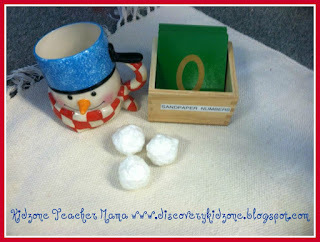 I am linking up with www.livingmontessorinow.com for Montessori Monday! I did my undergrad degree in math and the Montessori program is the best math instruction I've seen. We can't afford our local Montessori pre-school so my plan is to do something similar at home for my daughter. We'll see how it goes! Hi! 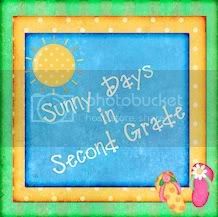 I just found your blog today through the linky over at Deb's. Great blog design by the way! Love the tabs at the top...super jealous. I added you to the "Ultimate Montessori Blog List" over at my blog today in two categories. 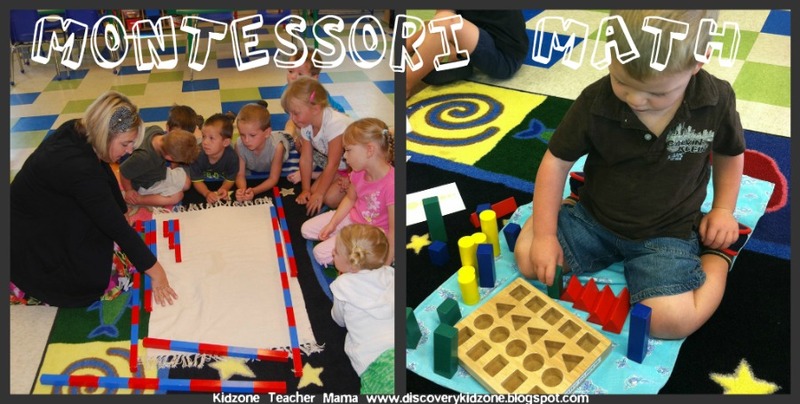 Welcome to the online Montessori community! I can relate to what you said about not "getting math" until you did Montessori math. I had a similar experience. When I was in my early 20s, I took the Preprimary training. It wasn't until I was working with the math materials during a practice session that I fully understood what mulitiplication really meant. In Elementary, I did memorize math facts, but I really didn't understand the concept of multiplication. 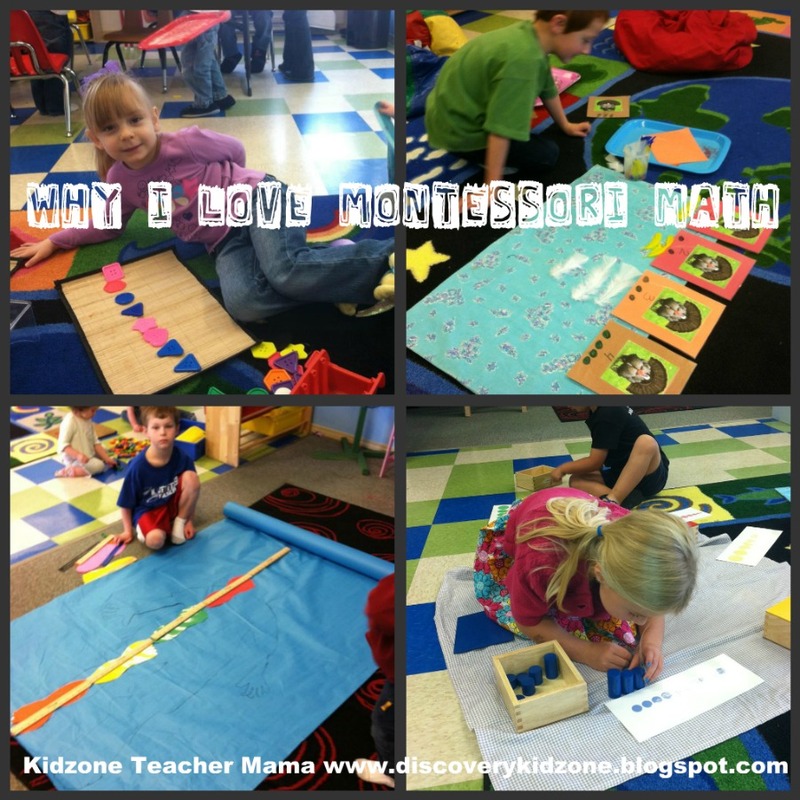 I love Montessori! It has always been my dream to have my own Montessori preschool, but I don't see that happening for me. Thank you for adding me to the Ultimate Montessori Blof list!! That is so exciting for me! 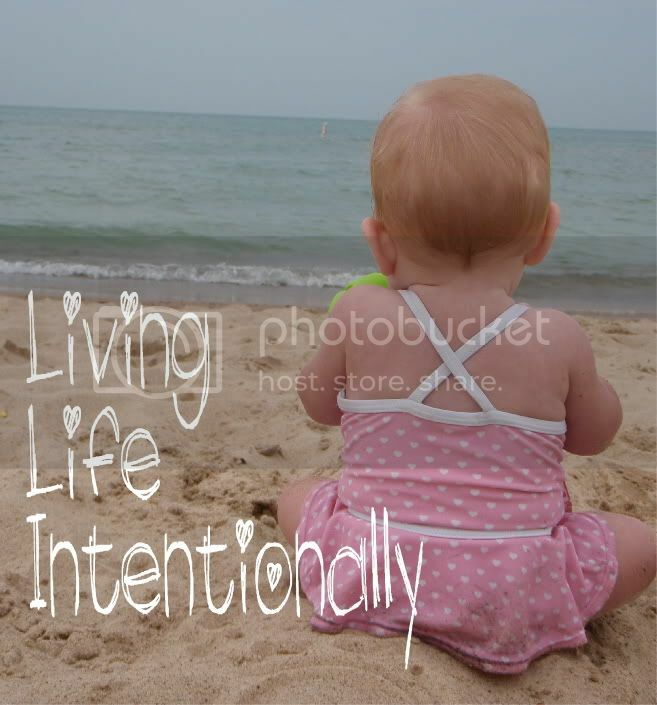 :) I love your blog and am a follower! Thank you so much for your comment and for adding me to your facebook page! :) I love your link ups, I am going to try to link up more often. Thank you for your comment. It is never too late to start your dreams! Start small and it will grow with your passion. 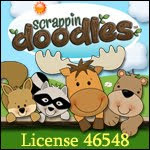 When I started my school I only had 4 kids enrolled. Thank you for becoming a follower. 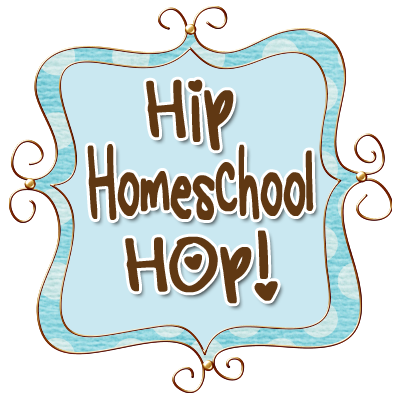 I am going to homeschool my daughter for Kindergarten and was really interested in doing the Montessori math, where would I be able to purchase the curriculum and materials for a reasonable price?